Beauty Blog by Angela Woodward: Why do I see Salon Products at Walmart sometimes? What a great question! This is actually one of the industries biggest problems. It's called Product Diversion and it's a huge issue! Once when I was in cosmetology school we had a business class where a Paul Mitchell representative came in and talked to us about this issue. He began by introducing himself and picking 3 girls at random to go on a "field trip" with him. They left for about 10 minutes and came back. While they were gone the rep and the girls walked to a CVS pharmacy that was right next to our school and he purchased 3 Paul Mitchell products from their shelves (a shampoo, a conditioner, and a styling gel). He came back and wrote "DIVERTED" on those three products and then pulled identical products out of his bag (but without the word on it). He then took six clear cups out of his bag and wrote "diverted" on three of them. He squirted the 3 products from the pharmacy into the cups marked "diverted". Then he squirted the true (but identical) products from Paul Mitchell that were in his bag into the other cups and put them side by side. One of the sets were identical but smelled different, while the other two sets looked different as well as having different consistencies. He had two of the girls volunteer to go have their hair washed with the products (one with the real product and one with diverted products). While they were gone getting their hair washed he explained to us that this is called diversion. One of two things usually happens in the case of someone having professional products in their stores. The product is either a counterfeit (yes there are whole factories that make counterfeit product!) or expired (and was supposed to be thrown out, but instead was sold, usually under the table). The two girls returned to the class room and we all came up to touch and smell their hair and examine their scalp. We could see that one felt soft, smooth, and hydrated, while the other was dull, lifeless, and there were several signs of dryness at the scalp and ends. from a Salon, and the bottom from a Target. The biggest problem is people buy these products at drugstores and they think they are getting the real thing. So someone could buy this shampoo and conditioner at CVS, use it and decide it's not better than suave and that Paul Mitchell products are a rip off. It's so sad because those products are great! Why don't the products get taken off the shelves? It would cost a lot of time and money for companies to do that. They do their best, but it's a long process. There are a couple of brands who do choose to sell salon professional products in big box stores to try and stop people from selling fakes. The problem is that diversion still happens in these stores. The real product could be sitting on a shelf at Target right next to a fake one! And these brands are few and far between. discontinued product that was repackaged and sold! There are a couple of companies as well who are very high end and work very hard to keep their products salon exclusive. As a stylist I can go to a professionals only store and purchase products by brands professional brands at a wholesale price. I can then sell these products or use them at home for myself or on clients in the salon. However there are some exclusive companies that work really hard to prevent diversion by not even allowing their brands in these kinds of stores that are exclusive to professionals! That's because somethings pros are responsible for diverting product too (it's sad but true). Some of these companies are Aveda, Euphoria, Living Proof and a few others. If you ever see these brands on a big box store shelf you can guarantee that it is not real! For a pro to even get ahold of them they have to sign a deal with the company and order directly form them. So how I can I tell if it is real or fake? The only way to know you are getting authentic products is to buy from your salon and your salon only! 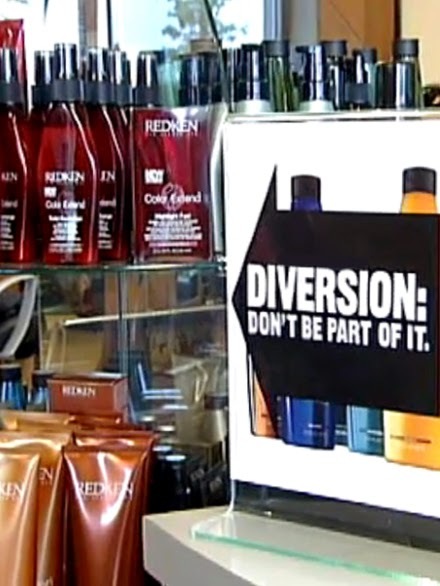 There are a couple of other signs, like not using the barcode on the product, or not seeing a part number or code, but in the end you should buy from your salon. Why? Because you love your stylist! Buying from your salon and stylist will help support local business, support your amazing stylist and you will be guaranteed real product every time! Plus your stylist has your back! 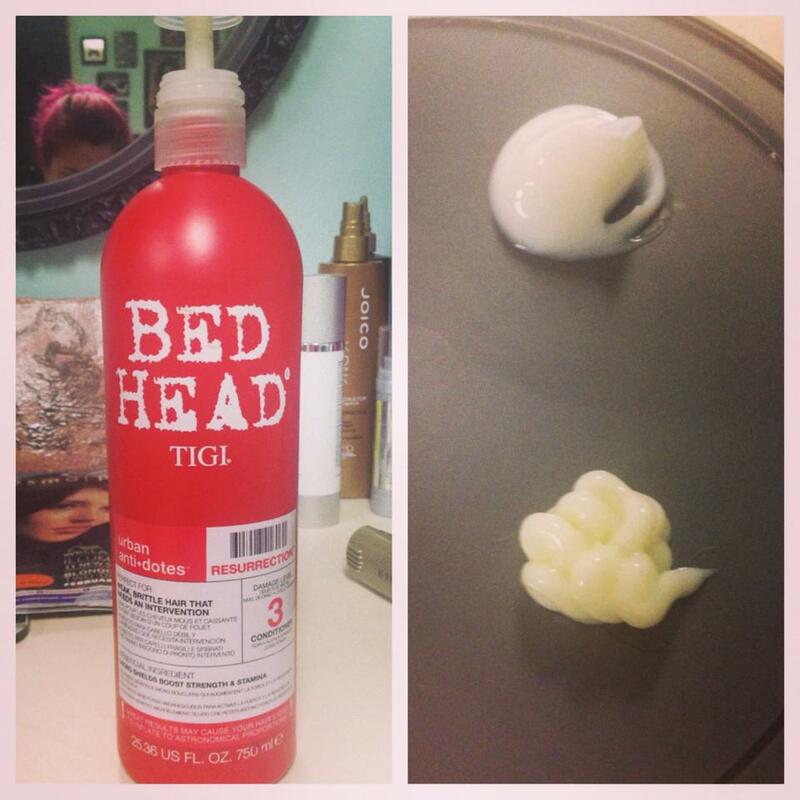 They will always recommend you the best products for you hair, and not just whatever looks good. 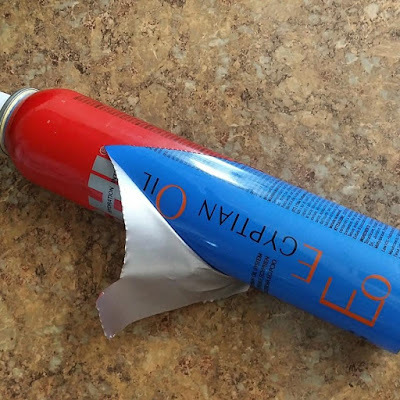 In reference to one picture on this post: from snopes- reply from CHI~Recently, several of our customers have noticed cans of CHI® products with labels covering up other products. We sincerely wish to clear up any confusion. The Egyptian Oil and French Oil and other cans you may have seen were originally another CHI® product brand we manufactured. Due to a legal challenge that arose concerning the new brand names and designs, we were forced to cease production. As a result of this, we were left with many empty cylinders. To avoid them taking up vital space in our warehouse but most importantly, adding unnecessary waste to landfills, we decided to uphold our environmentally conscious efforts that we have maintained since 1986. We felt we made the right decision by placing original CHI® labels over these cylinders and filling them with our CHI® formulas. Therefore, the product is authentically made by Farouk Systems with the correct CHI® label on them and product inside. We sincerely apologize for any confusion this may have caused our customers. I have been a Tonsorial Artist for 45 years. I would also like to add to this post that if products are diverted, it takes our business away from us, and we are the only ones that can prescribe the proper products for your individual needs. We have spent a lot of money and time to learn our trade. We hold credentials that are exactly like a Lawyer or a Doctor, and to us our products are medicine for your hair, to be prescribed as a Doctor would do. I am proud of my profession, I have worked behind the chair, I have done platform work, I have had my models appear in style books,I have taught beauty school,I worked for a Beauty Supply House setting up their educational programs, and I spent 11 years as a State Board Examiner for the state of Wisconsin. I am offended when I see products in stores, and I will call the company and tell them which stores, where they are what the products are and ask them to come and get them out! I have done it more than once, and Paul Mitchell was one company who obliged with no problem. I would expect no less from them, as I had the fortunate experience to work with Paul Mitchell himself, before he died. He was an extremely professional man. So, I am glad to see that someone has taken the time to expose this for what it is. ..... and yes, my salons name is Hot Locks, and it is located in my home as a separate area/entrance. Search for a shading that nearly looks like your skin tone. Attempt diverse shades and apply them in with various utensils until the point that you locate the correct look.